So I've had an idea knocking around in my head for a little while now. But I am conscious of one thing. I want you to be able to see the space and the ideas properly. So without the many toys out, kids running around and dirty dishes/laundry. But I also do NOT want you to think of my home as 'perfect'. Though, could you really if you saw this post? So I don't want the tour to be a downer. 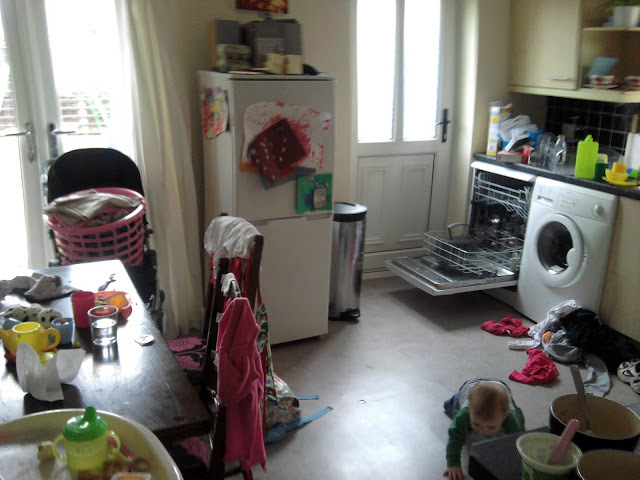 Or you to think that my kids are super clean and tidy and never spill or eat in the living room. See I've looked at a couple of the home tours on blogs recently that have been beautiful and jaw dropping, but I've also thought "Where do their kids/they live?" and looked up from the screen and seen my own home and thought how unachievable that is for me and been gutted. I also want to see how their home works on a day to day basis. I rent (so can't change paint colours or do anything structural), I have kids, I have a man who lives here, and you know what? I don't care that much for cleaning. I know, you're in shock. or a toy box that needs sorting and I'm there! But scrubbing the bathroom? Keeping shoes in a neat line? Laying out my kids toys in height order every night? Nope. Not me! And not that I think it's bad if it is your thing, it's just not in my DNA. 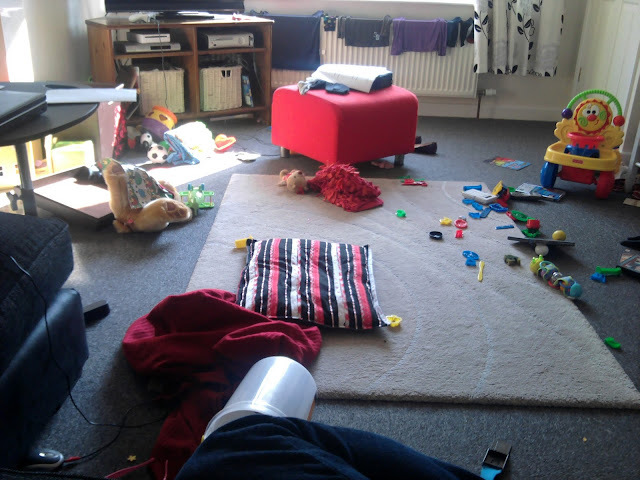 I'm so much better at making a mess crafting or playing than cleaning up afterwards. So for the next two months I'm going to clean like crazy photograph the rooms in my home. Showing tidy(ish) pictures along side photos of what it looks like most of the time. Then you'll see how things work in our real life and maybe something that could work for you, and plus maybe you'll let me pick your brains about your ideas/methods for controlling the crazy and decorating spaces. And lets face it, we all love to nosey around other people's home, right? Remember though. I'm from England. My house IS a normal three bed home. For England. Please do not be shocked when you discover I have no laundry room, play room or basement. And yes, I am totally jealous of your space. A little hint? Our normal sized main bedroom looks like this. That's the total width. And I'm stood inside the wardrobe to take this photo. Though I suppose I should point out that we have a king size bed as my husband is 6ft3 and still has to sleep diagonally. Lucky that I'm only 5ft1 really! So what about you? What do you think about home tours? Do you have one? Am I the only one that's so nosey? I love this post, Rhiannon! I can relate 150%. I never understood how homes with children are IMMACULATE, seriously how does one do that? I must have missed that lesson somewhere. BTW what is up with men and their diagonal sleeping? It drives me bananas.